Prof. John Daniel used a Crookes’ tube to take an X-ray of his fiancée’s hand, following Roentgen’s imaging of his wife’s hand. With demonstrated success, Daniel went on to take an X-ray of his second volunteer, Dean Dudley whose head he X-rayed. Lack of knowledge of the flux needed for a good picture and the uncertain output of his tube, resulted in a one-hour exposure. Twenty one days later the Dean’s hair started falling from the scalp region where the beam entered. A note of this observation was reported in Science, which is perhaps the first literature report of radiation-induced epilation. (Dudley, W. Letter to the Editor. Science. 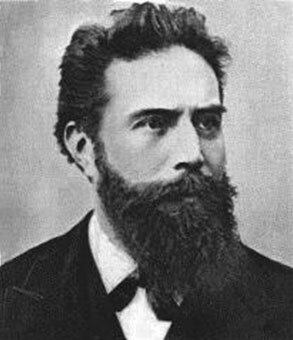 April 10, 1896). Further clinical experimentation in the Physics Department was deferred for some years. Radiation dose units, and generally accepted radiation protection guidance were formalized in 1928 (ICRP). It is not surprising that there were a number of misadventures in early medical practices and research laboratories. The first Vanderbilt physician to provide clinical X-ray services was Christopher McClure. 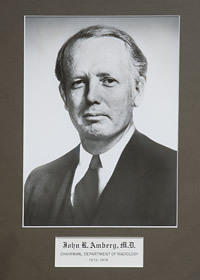 He received his MD at Vanderbilt in 1918, and in 1920 the Vanderbilt catalogue listed him as an Assistant in X-ray. From 1925 to 1929 he was the Instructor in Charge of Radiology. He then spent a year receiving special training in Radiology at the Cleveland Clinic, and upon his return he became the first de facto head of the Radiology Department. 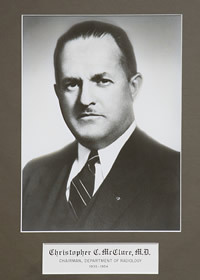 McClure was Chairman from 1936-54. In 1944, a year after George Meneely joined the faculty McClure certified him for the use of a fluoroscope in the Heart Station. 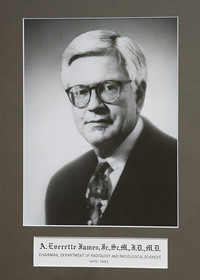 Meneely later directed the nuclear medicine program at the VA (Radioisotope Unit) and the Division of Nuclaer Medicine and Biophysics, part of the Vanderbilt Medicine Department. 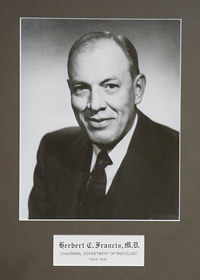 Herb Francis followed McClure as Chairman of Radiology from 1954-1961, but there is no record of his involvement with the radioisotope program. Herb’s brother, Tommy Francis was a famous epidemiologist who led the Polio Vaccine trials, and who with Felix Moore laid the foundation for the design of the epidemiology study of the Japanese atomic bomb survivors at the Atomic Bomb Casualty Commission (ABCC). The long term ABCC/RERF studies provide the basic data on radiation risk on which the different national and International radiation protection agencies. Despite shared interests, Randy did not meet Herb while attending the 1959 Vanderbilt Whole Body Counter meeting. Herb was unwell at the time, and through much of time towards the end of his years in office. energetic and talented Chief Technologist, they made extensive revisions to the plans to make the Department work to overcome unforeseen implementation problems. After Meneely’s departure, in 1962 it took two years to recruit his successor, as Radiology and Medicine shared in the decision as imaging was becoming a more prominent part of nuclear medicine. Randy came from Johns Hopkins as an Assoc. Prof. in Medicine, with a joint appointment in Radiology. Nuclear Medicine faculty received salary from the Department of Medicine while the operational costs of the Radioisotope Center were budgeted through the Hospital Division of Laboratories. With Klattee’s interest and resources, financial responsibility for the program was transferred to Radiology in 1965. 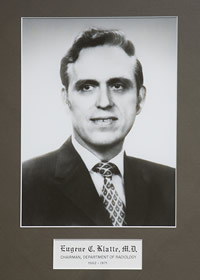 The Division of Nuclear Medicine and Biophysics remained as an academic Division of Medicine, with administrative direction from Radiology through 1979 when Randy left for the Brookhaven National Laboratory. Radiology had shell space which Radiology finished and assigned to the nuclear medicine imaging program keeping the Radioisotope Center lab space on the 2nd floor of the Hospital (Medical Center North). The nuclear medicine program expanded from the two wet laboratories located on the second floor of the Hospital, when a single clinical room was assigned for the new thyroid scanner and for thyroid uptake and patient therapy. The new shell space on the ground floor was developed for clinical and imaging research immediately adjacent to Radiology which allowed convenient access to shared staff offices, research, and space for new equipment. Klatte assisted in recruiting new faculty. Ed Staab, a Radiologist with an interest in nuclear medicine joined the faculty in 1969 as Ed was coming out of military service. Ed was the first of a number of talented physicians who joined the program. Ed came from Fort Detrick with a strong interest in research. He was Co-Director of Clinical Nuclear Medicine from 1972-74, when he took the job as Chief of Nuclear Medicine at UNC, Chapel Hill. Dennis Patton, a Radiologist with a strong physics background (undergraduate degree from UC Berkeley, with courses under Joe Hamilton) joined the VU faculty in 1971. 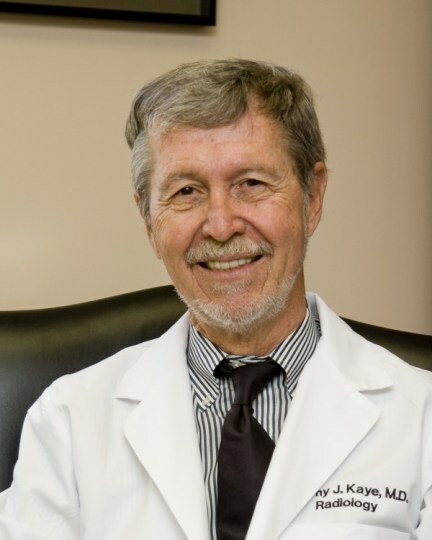 He became Co-Director of Nuclear Medicine in 1973, and in 1975 he left for the University of Arizona as Head of their Nuclear Medicine Division. Juan Touya joined the group in 1976 from UCLA where he had worked with Les Bennett for a short time in Los Angeles at UCLA. Earlier, Juan had been in charge of a major academic nuclear medicine program in Montevideo, Uraguay. David Rollo joined the faculty in 1977 and took charge of the Nuclear Medicine clinic when Randy left for a sabattical (UC London: 1977-78). 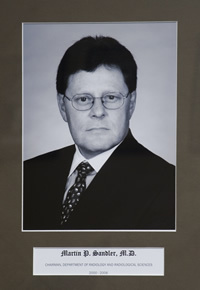 Randy returned in 1978, and left in 1979 to become Prof. of Radiology at SUNY/SB and Sr. Scientist, Coordinator of the Nuclear Medicine Program at Brookhaven in 1979. 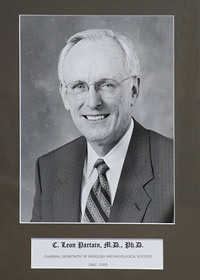 Rollo left in 1982 when he became one of the Directors of Humana. Rollo was followed as Division Chief by Leon Partain, Martin Sandler, (Reza Habibian at the VA), and currently by Dominique Delbeke (with physician colleagues Bill Martin, Ron Walker, (Gary Smith at the VA) , S. Shah in the following years. Nuclear medicine faculty provided teaching and clinical training for nuclear medicine technologists and Radiology Residents including clinical aspects of nuclear medicine, radiation physics, and radiobiology. Two and three month rotations through nuclear medicine, were supplemented by a series of about 60 1 hour, (7-8 AM) lectures that were repeated annually. Initially Gene Johnston presented most of the physics lectures, while Randy did much of the clinical lecturing. The addition of Ed Staab, Dennis Patton, Barry Grove, Mark Born, and Juan Touya over the years added to the clinical and teaching base, as did the physicists (Gene Johnston, Ron Price, Jim Patton, Norm Dyer and Jon Erickson) all of whom had taken their PhD degrees in Physics at Vanderbilt. For Radiobiology, Vanderbilt has had an outstanding radiobiology faculty. Mike Bender, a radiation cytogeneticists pioneer, joined us from ORNL in 1972. Joel Bedford joined a year later and has since become a major figure in cellular radiobiology. Mike Bender left in 1975 when Bill Caldwell, Head of Radiation Therapy left to take the Chair at the University of Wisconsin, Madison. Ed Siegel, an early pioneer in the clinical and research applications of I-131, joined the faculty in the mid 1970s from the University of Missouri, where in the absence of a physician, he had directed the nuclear medicine program sited at their VA Hospital. Julian Gibbs, a dental radiologist with a PhD in Radiobiology from the Unviersity of Rochester, lectured on radiobiology risk perspectives to trainees through 2000, when he retired. After the departure of most of these scientists, Mike Freeman, a radiobiologist with strong molecular background joined the new separate Radiation Oncology Department. The Radiology Department videotaped resident lectures for a few years so that people could review lectures they had missed. Later lectures were recorded on CDs. The tapes and CDs were rarely viewed, so the recording strategy was discontinued. Vanderbilt provided Nuclear Medicine professional and technical services to the VA since the program first began. Bill Alsobrook was in charge of the Radioisotope Unit at the VA after Meneely’s departure. As imaging became a more active part of the VA program, VU staff became increasingly involved in day to day operations of the clinical, technical and radiation safety programs. After Ed Staab and Dennis Patton joined the VU faculty, they rotated and provided direction and part time clinical coverage of the VA program. All of the technicians working in Nuclear Medicine at Vanderbilt, and the VA came from the Vanderbilt technology training program which has been ongoing since the late 1960s. Students came from 2 year colleges typically to finish their education with 2 years classroom intermixed with operational experience running equipment and doing patient studies under supervision. We hired our best students, and all got good jobs in this rapidly growing medical specialty. Currently, may of the students come as part of 4 year college programs. Martin Sandler, an Internist/Endocrinologist, Board Certified in Nuclear Medicine. The Hospital was loosing money on the cyclotron operation, and turned its management over to the Radiology Department. This became less of a burden when CMS approved payment for PET/FDG. 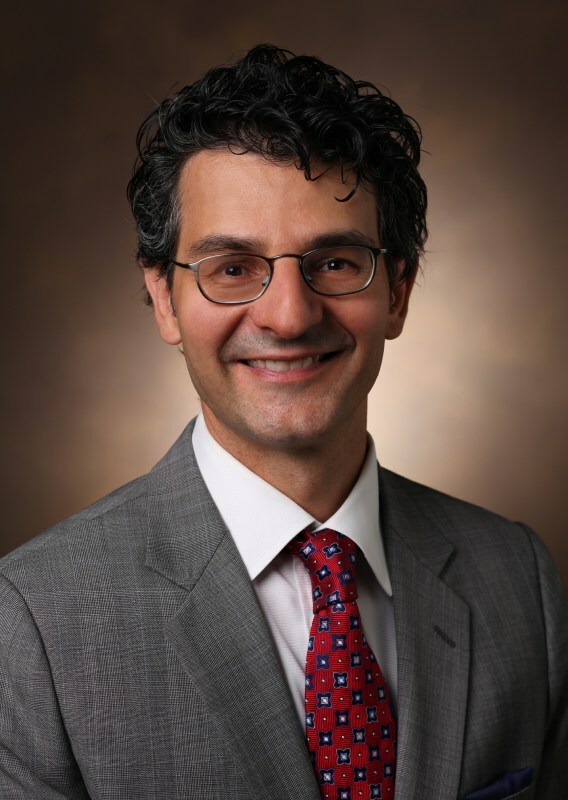 Dosimetry had long been a major part of the nuclear medicine research and in 2000, Michael Stabin, a long term staff member and key person at ORAU in the Radiation Dose Information Center joined the Vanderbilt faculty with appointments in Radiology, Physics, and Engineering. His presence reaffirmed and extended the Department’s involvement in dosimetry research. tumors using MRI, and targeted isotope therapy. This is a time when Vanderbilt is expanding its Hospital Affiliation Network with needs for strong support for clinical care, quality assurance, and support for on-site and remote sites, Details regarding the Vanderbilt program accomplishments are given in other sections. Additional detail is given on the main Radiology Web Page.